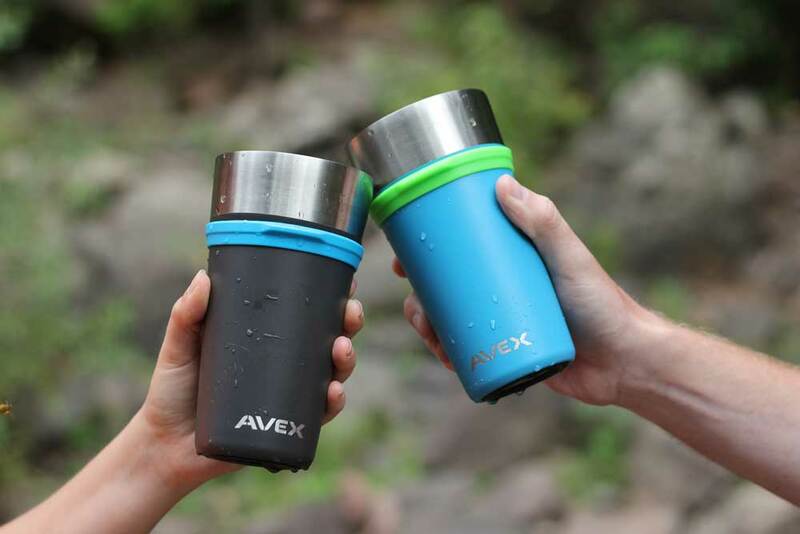 Tough and durable, the Avex Brew Pint Glass is everything I didn’t realize I wanted in a do-all outdoors cup. The company’s Brew Pint Glass is one step better than the other stainless options put in front of me at campsites and picnics this year. 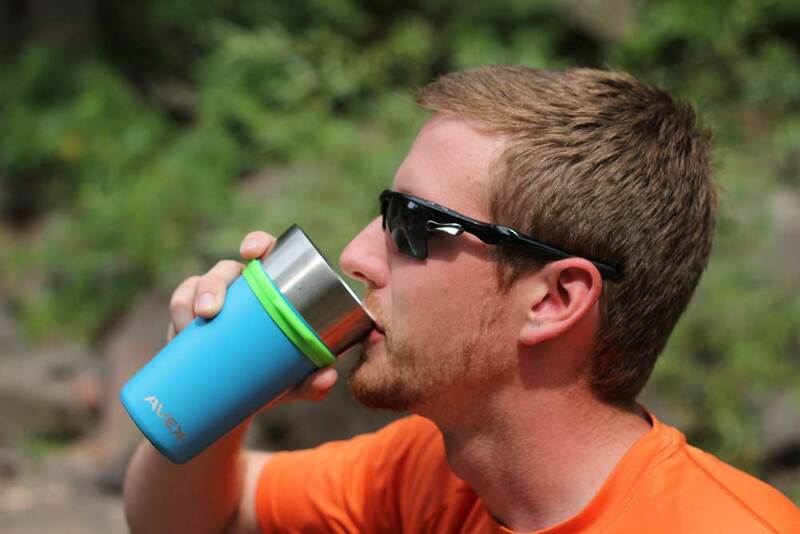 The 20oz, vacuum-sealed vessel is covered in a non-slip plastic coating with about an inch of stainless lip exposed. 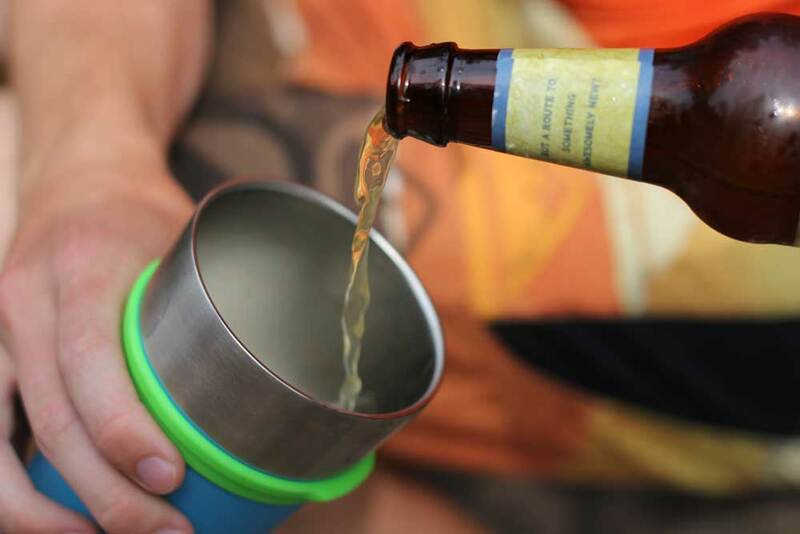 A removable silicone ring straddles the line between the plastic body and stainless lip, and a bottle opener is concealed on the bottom of the glass. I tested a set of the Avex pints over a few weekend outings, including a wedding and an afternoon at a local swimming hole. I loved that these glasses fit in at a formal setting or in the outdoors. I got multiple compliments on them even while at the wedding and dressed in a tux. As expected, the vacuum insulation keeps drinks cool longer than glass, even in a hot and muggy wedding reception hall. The stainless steel is easy to rinse out, so going from a porter to a pilsner is a breeze. Additionally, I didn’t notice any metallic taste that sometimes accompanies steel mugs. A built-in bottle opener on the bottom of the pint is cool, especially when sitting neck-deep in water without my normal opener within reach. The three-way opener makes it easy to pop a cap off without having to search for the right angle. 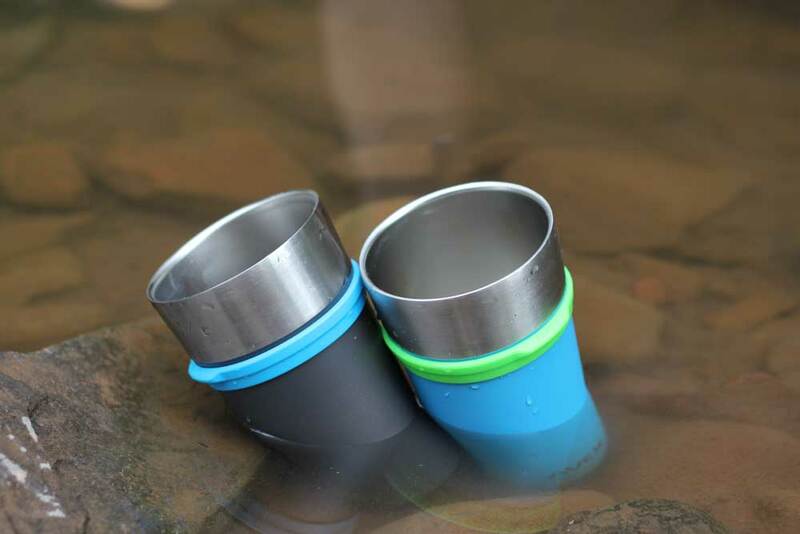 A rubberized ring on the bottom of the cup keeps it from sliding on uneven surfaces. It’s nice for setting on rocks. These glasses took a beating and work fine long after a glass pint would have shattered. They survived drops from the car and onto the dance floor without damage. At $25 apiece, they aren’t the cheapest insulated pint on the market, but they should last. 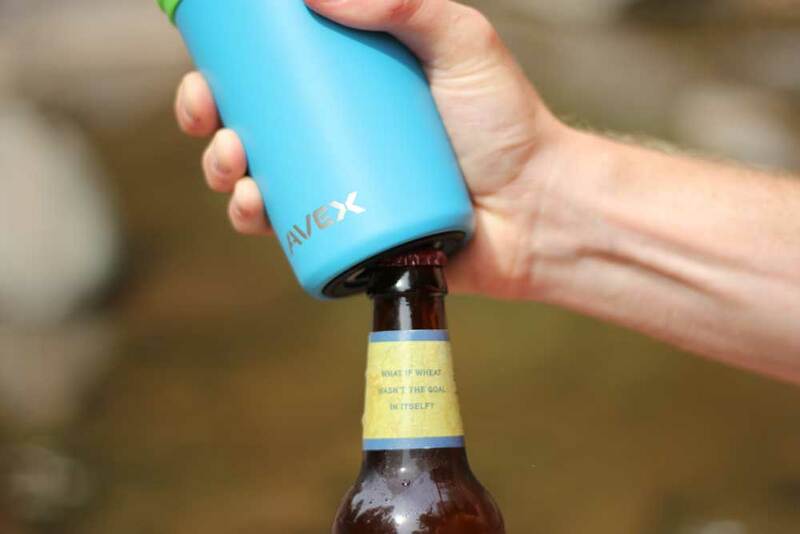 The Avex Brew Pints stand out among other options we’ve tested this year and will continue to be a presence on outings where casual adventure and beverages mix.